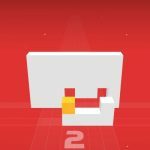 Ketchapp’s got another casual arcade title for Android and iOS devices, and it’s called Ball Jump. This is a game where you have to stay on the cubes and react quickly as your path is “being built in real time” with combinations of different cubes. 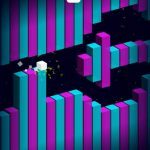 Basically, you should time your jump well and you shouldn’t fall off the cubes at any time – that’s what this game is about in its purest, simplest essence. 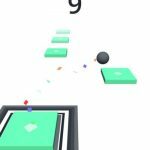 It’s a very simple game to describe, but it isn’t that simple if you’re playing it and trying to outdo someone’s high score – it may be that of your friend or it may be your own high score. That all said, let’s now bring you some useful Ball Jump cheats, tips and tricks to get a high score in the game. In essence, Ball Jump is a platformer, and with each unique platform you jump over, you can earn one point. Jumping and landing on the same platform will not be worth any points, which is why we say “unique” is the operative word above. You can also earn two points if you’re able to jump over one platform, then onto a second one. When jumping, it’s best to aim it as close to the edge of the platform as you could. This gives you just the right amount of wiggle room, and allows you to guard against some mistakes that could easily end your game. Leaping too early means the blocks may crumble from underneath, dropping you down by surprise. Leaping too late, as long as it isn’t too late, gives you a much better chance of platforming successfully. You should try to look at each level with your future moves in mind. Look at the level as far as you can see it, so that way you wouldn’t be thrown off (figuratively and literally) when the platforms begin to shift. They usually stop doing that if you’re really close, and that should allow you to figure out the final shapes before you prepare to leap. 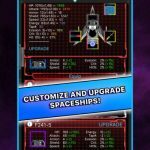 We’re torn up about this, to be honest – ads help game designers and developers monetize their titles, so it is indeed a good idea to play mobile games online. But you can switch your phone or tablet to airplane mode, or turn off your Wi-Fi or cellular connection if the ads are too distracting and take away from your ability to play the game right. Like the above tip, this is quite standard when talking about these games. Playing too long is a recipe for frustration, and to avoid this, you should rest for about 30 minutes to an hour or so, which should allow you to return to the game feeling mentally refreshed if, prior to that, your game seemed to be slipping.